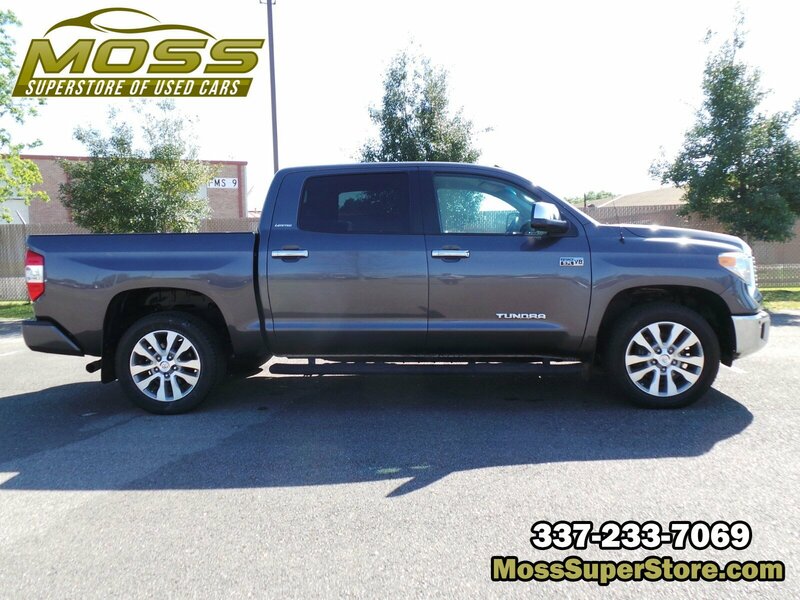 Wheels: 20 x 8J Split 5-Spoke Alloy Disc, Variable Intermittent Wipers w/Heated Wiper Park, Trip Computer, Transmission: Electronic 6-Speed Automatic w/OD, Transmission w/Driver Selectable Mode, Sequential Shift Control and Oil Cooler, Tires: P275/55R20 AS BSW, Tailgate Rear Cargo Access, Systems Monitor, Streaming Audio, Steel Spare Wheel. 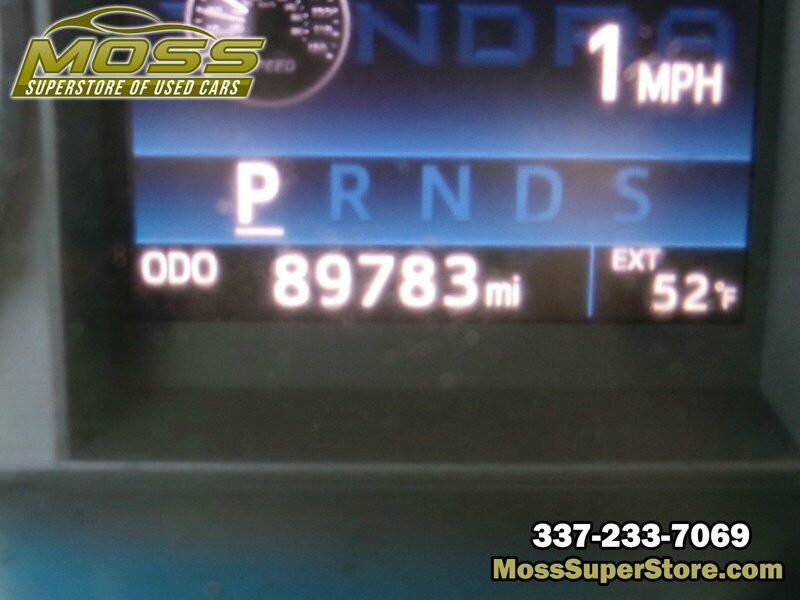 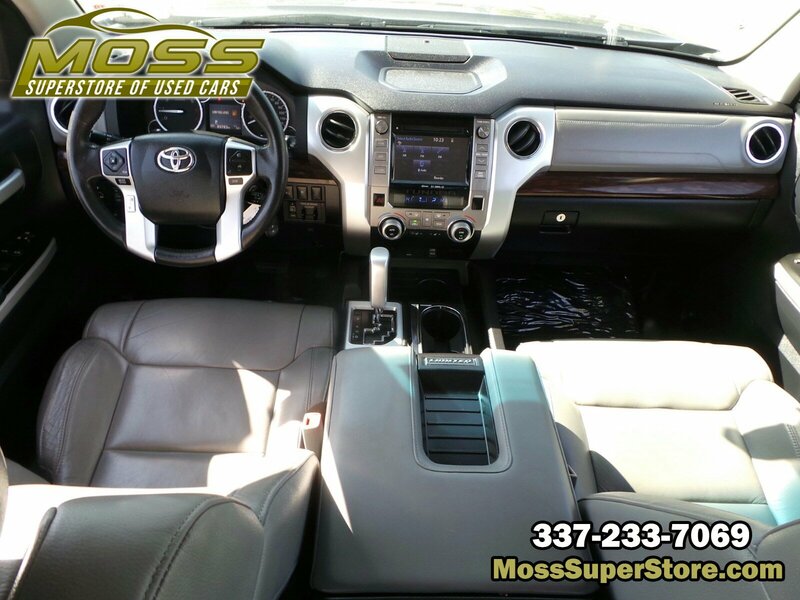 This Toyota Tundra 2WD Truck has a strong Regular Unleaded V-8 5.7 L/346 engine powering this Automatic transmission. 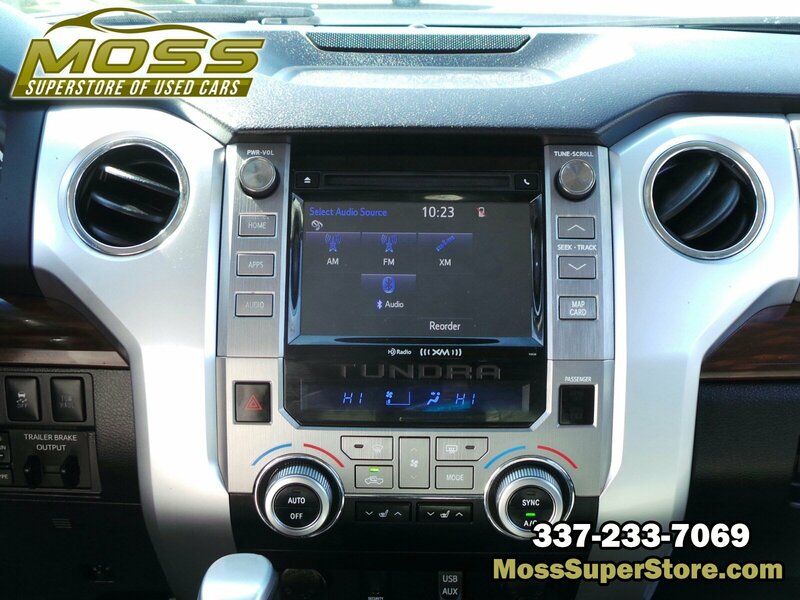 *These Packages Will Make Your Toyota Tundra 2WD Truck LTD The Envy of Your Friends *Splash Guards, Smart Device Integration, Single Stainless Steel Exhaust, Side Impact Beams, Remote Keyless Entry w/4 Door Curb/Courtesy, Illuminated Entry and Panic Button, Regular Box Style, Rear-Wheel Drive, Rear Cupholder, Rear Child Safety Locks, Radio: Entune AM/FM/HD w/CD Player -inc: integrated navigation system, MP3/WMA playback capability, AM/FM cache radio, 9 speakers, high-resolution 7 touch-screen w/split screen display, auxiliary audio jack, USB 2.0 port, iPod connectivity and control, Gracenotes album cover art, HD predictive traffic and doppler weather overlay, Bluetooth hands-free phone capability, phone book access, advanced voice recognition and music streaming, Siri Eyes Free and integrated backup camera display, Entune App Suite includes Bing, iHeartRadio, MovieTickets.com, OpenTable, Pandora, Yelp and Facebook Places; real-time info including traffic, weather, fuel prices, sports and stocks, SIRIUSXM Satellite Radio, 90-day free trial, Radio w/Clock, Speed Compensated Volume Control, Steering Wheel Controls and Radio Data System, Power Rear Windows, Power Rear Window w/Defroster, Power Door Locks w/Autolock Feature, Power 1st Row Windows w/Driver 1-Touch Down, Pickup Cargo Box Lights, Perimeter/Approach Lights, Perimeter Alarm, Passenger Seat -inc: Fold Flat, Outside Temp Gauge. 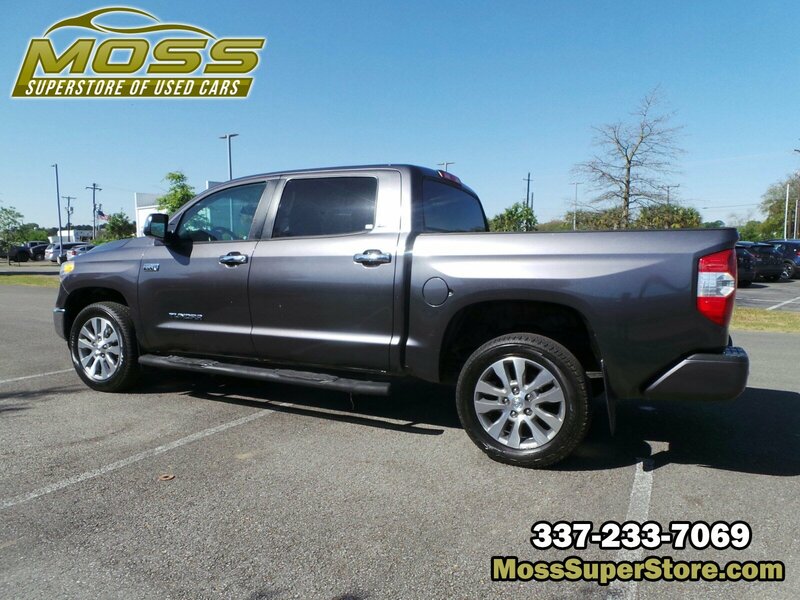 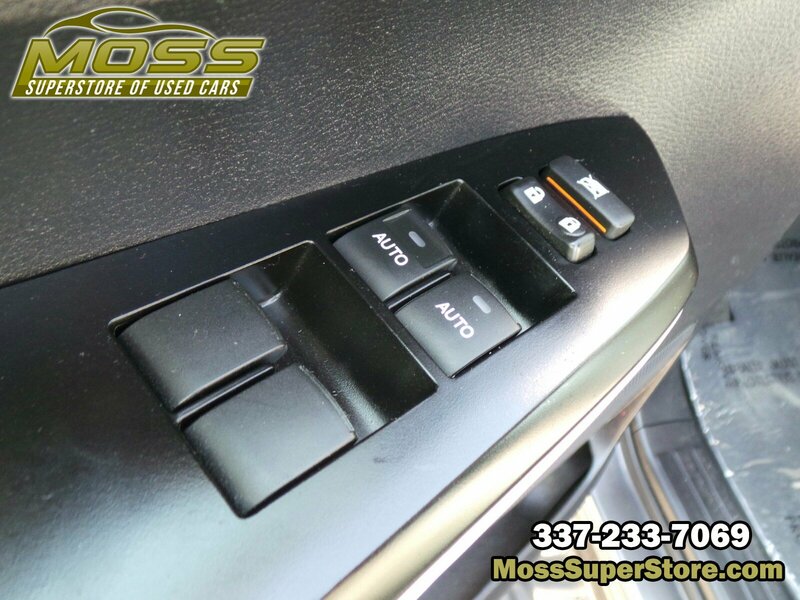 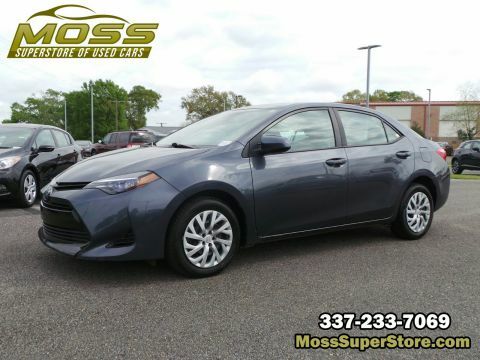 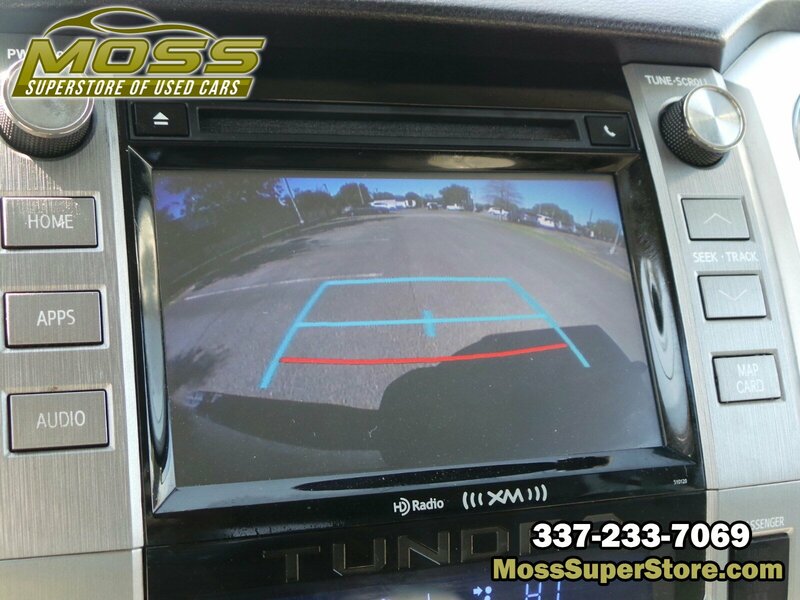 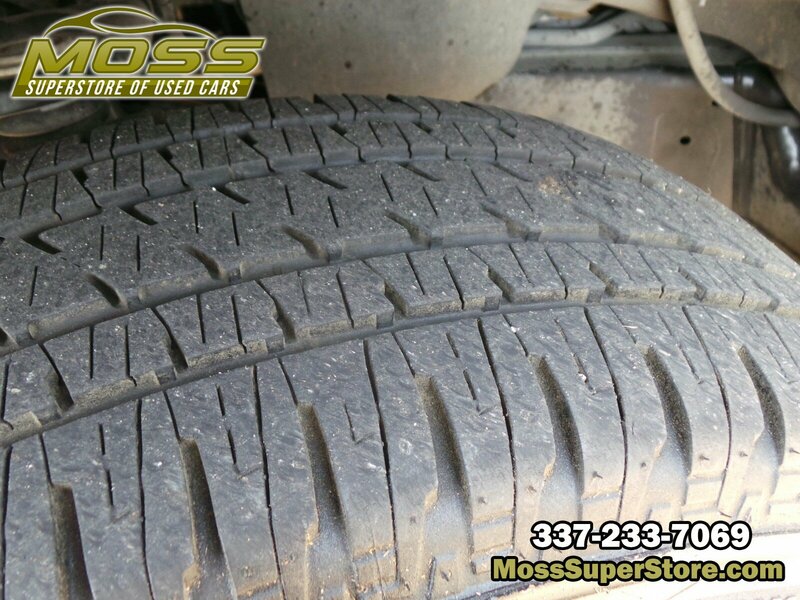 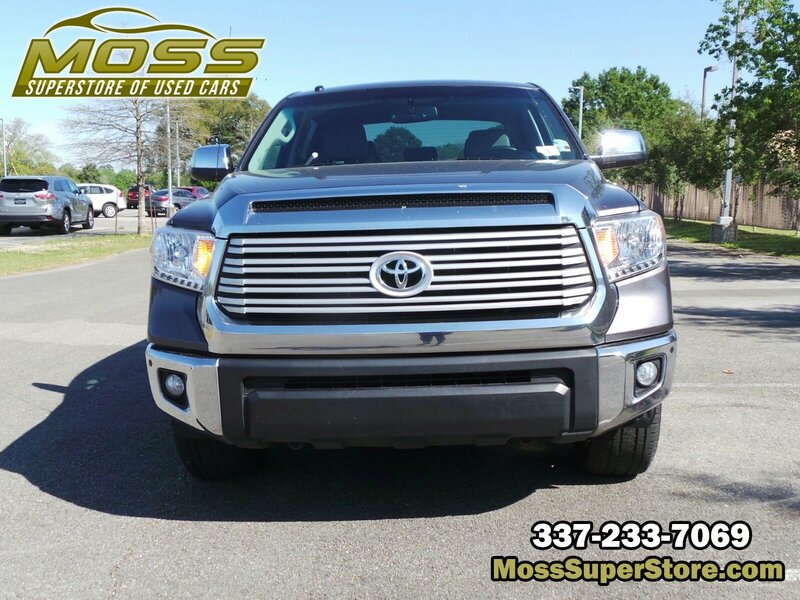 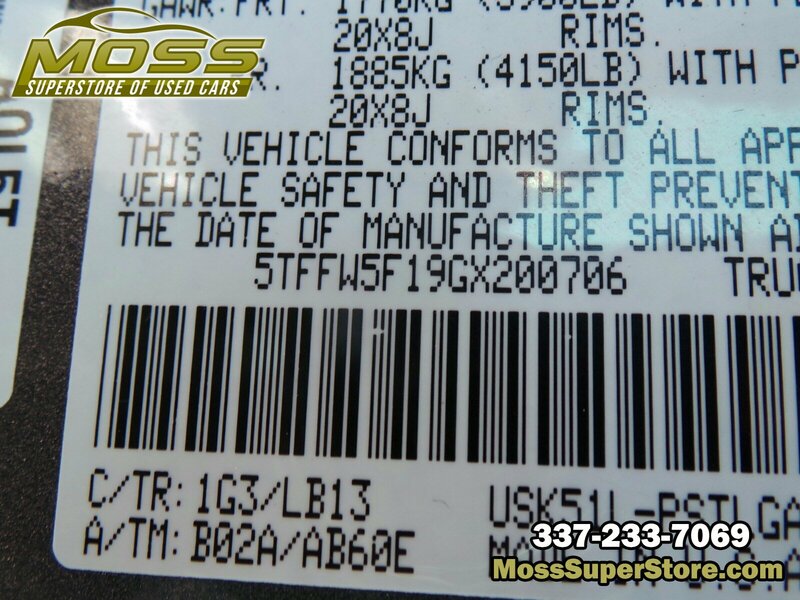 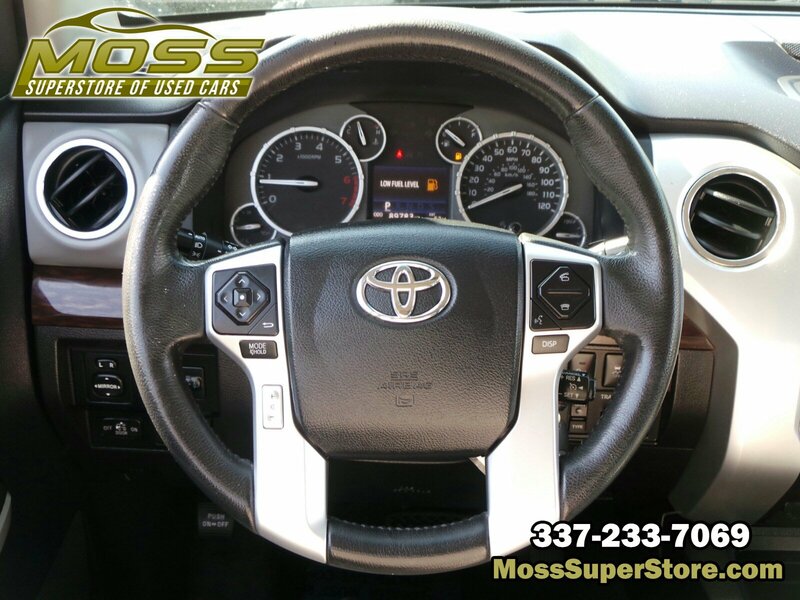 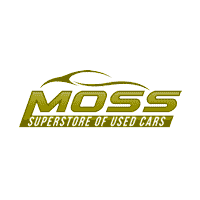 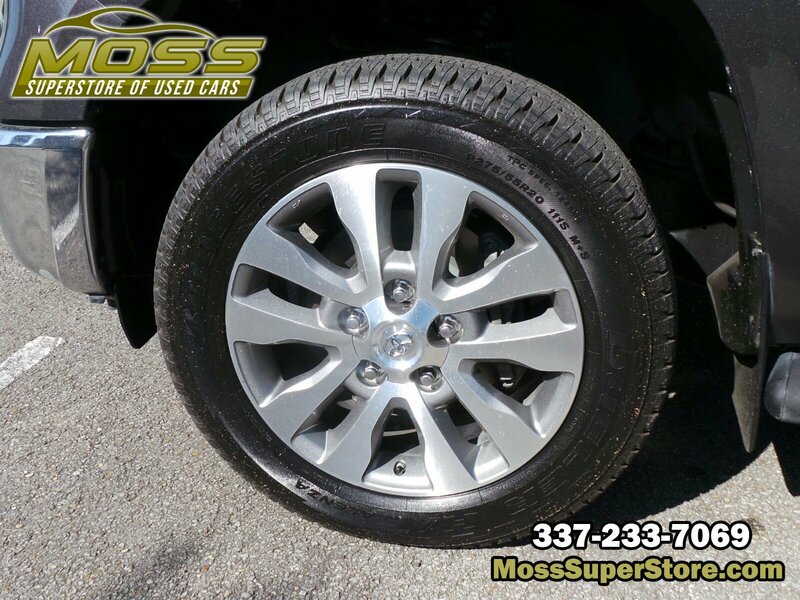 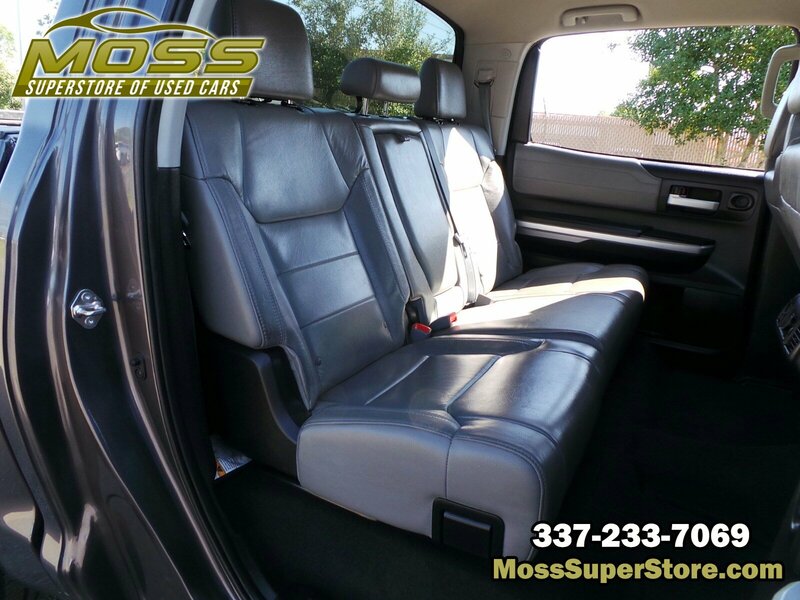 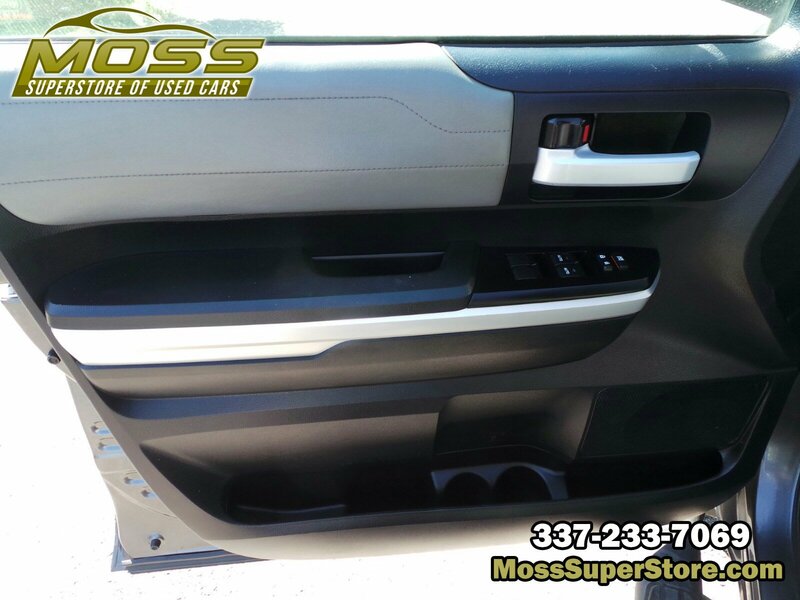 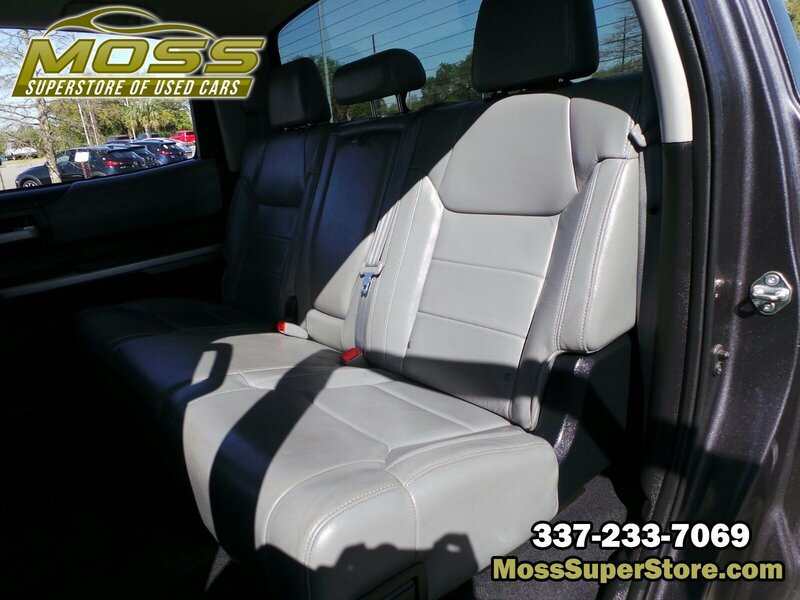 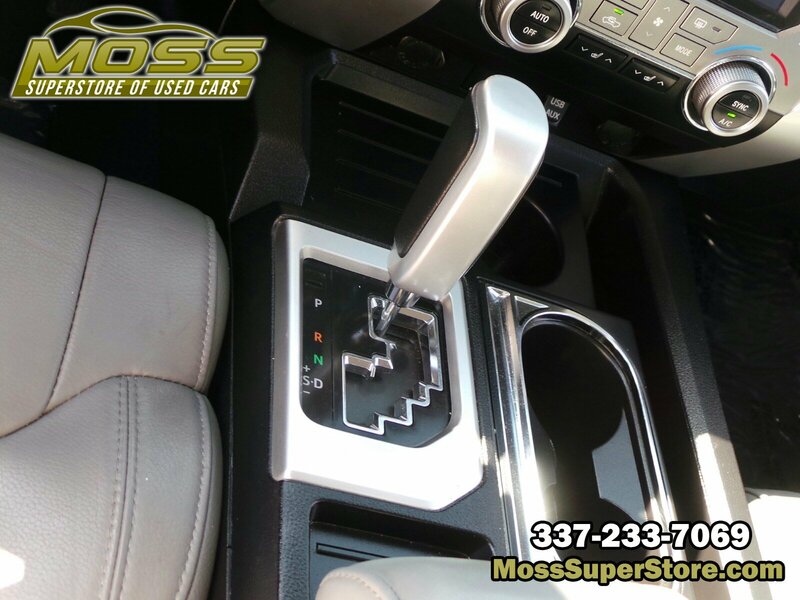 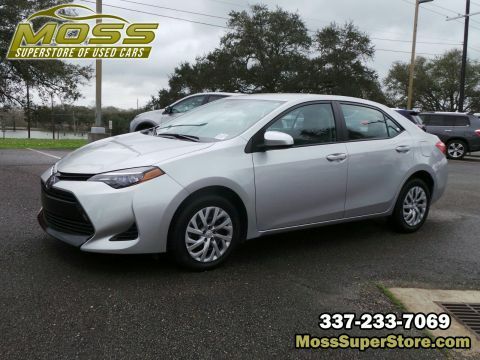 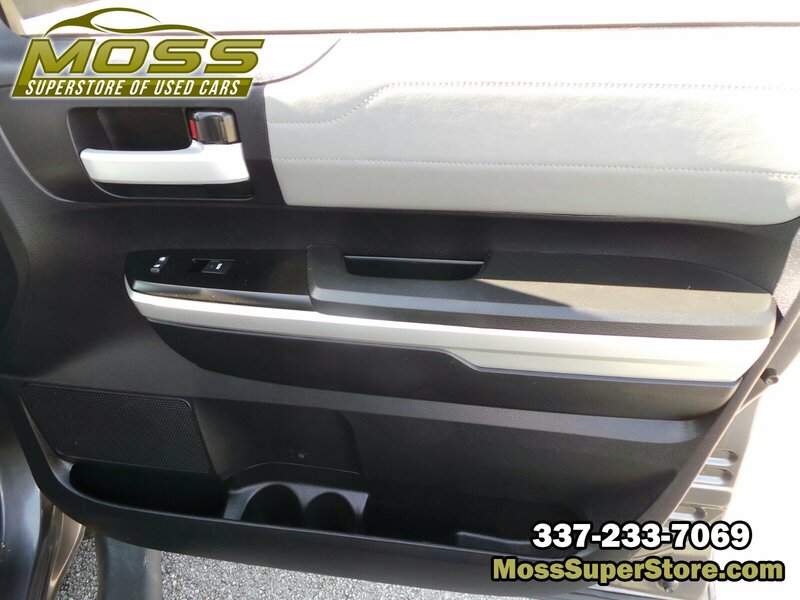 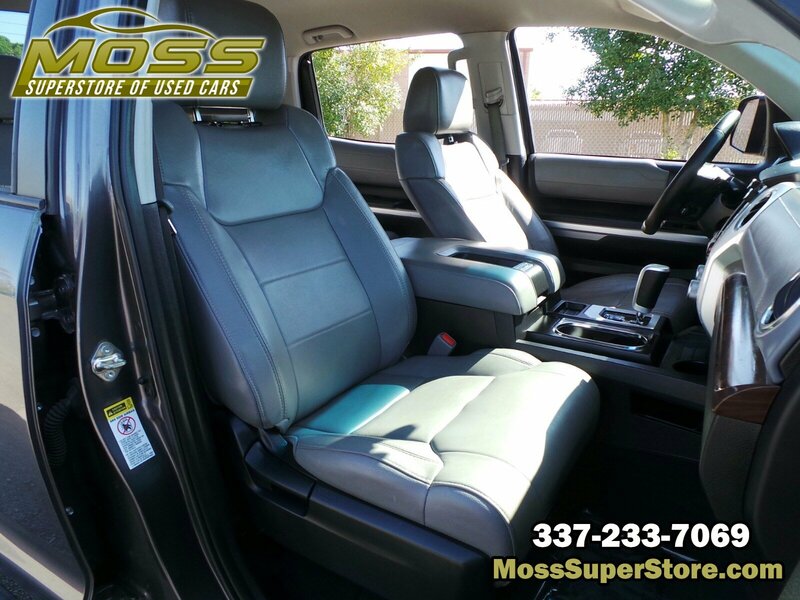 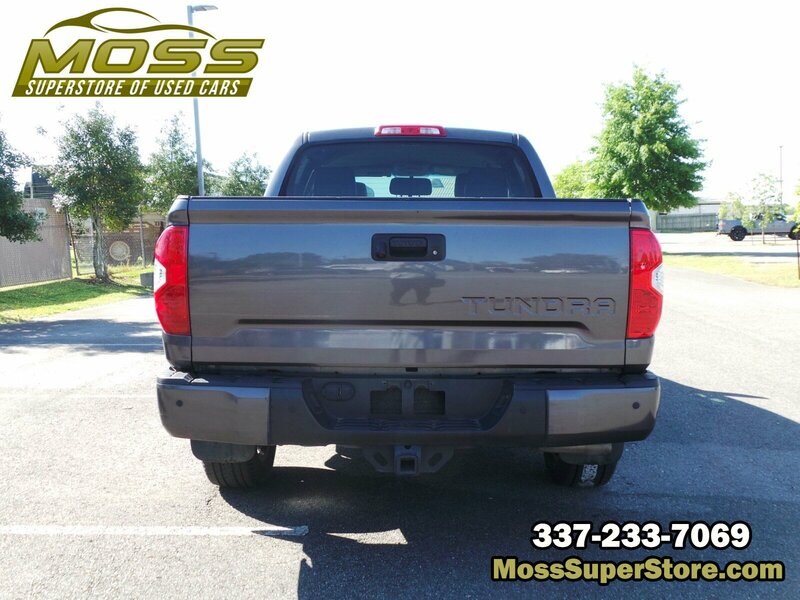 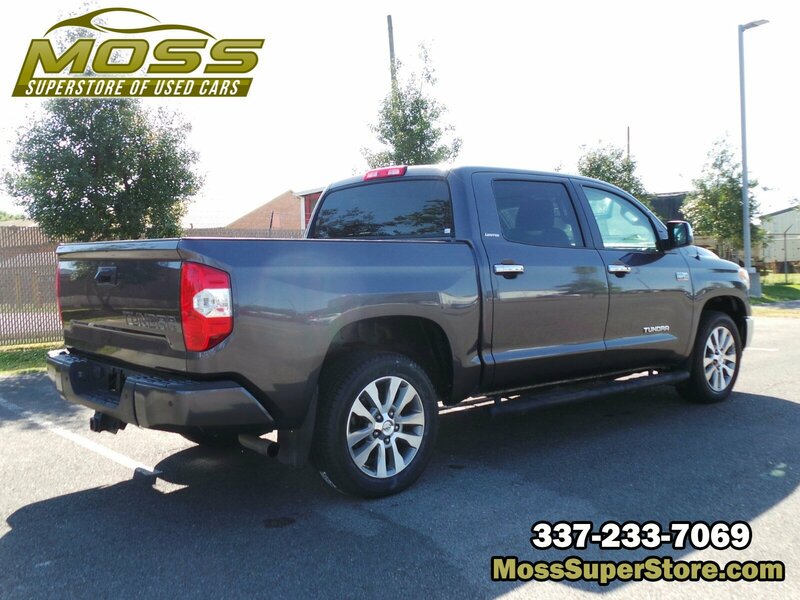 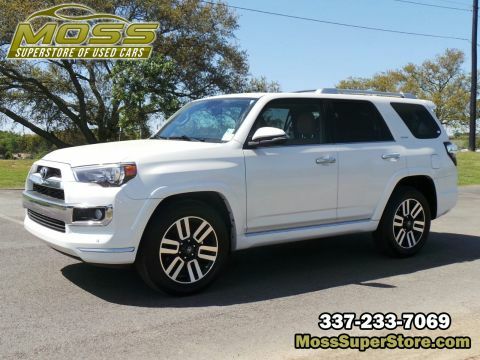 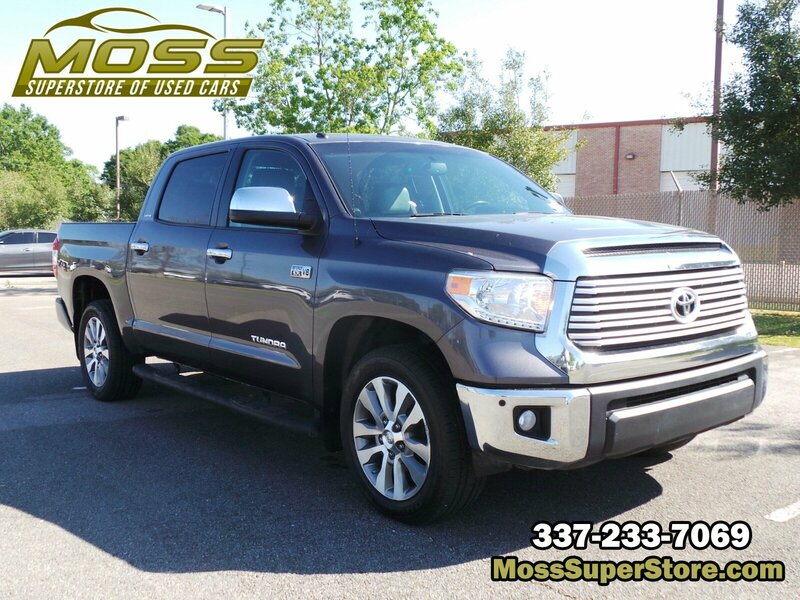 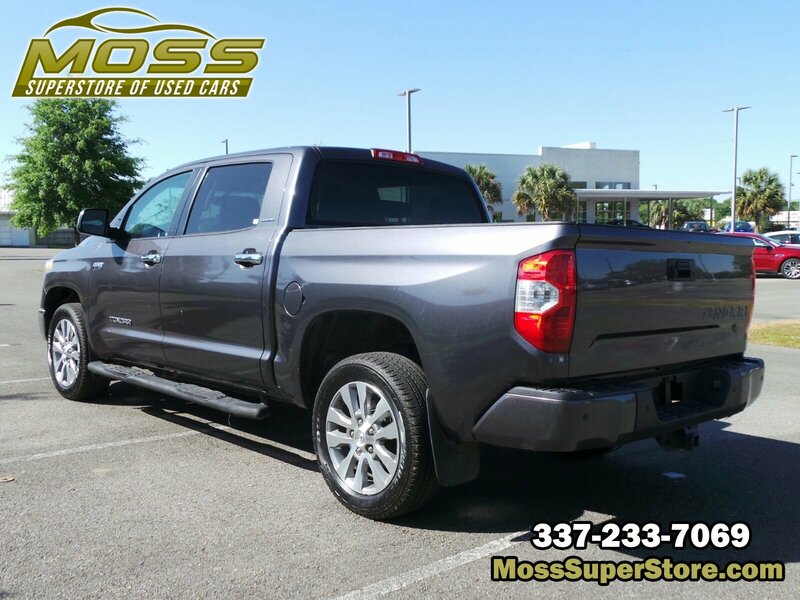 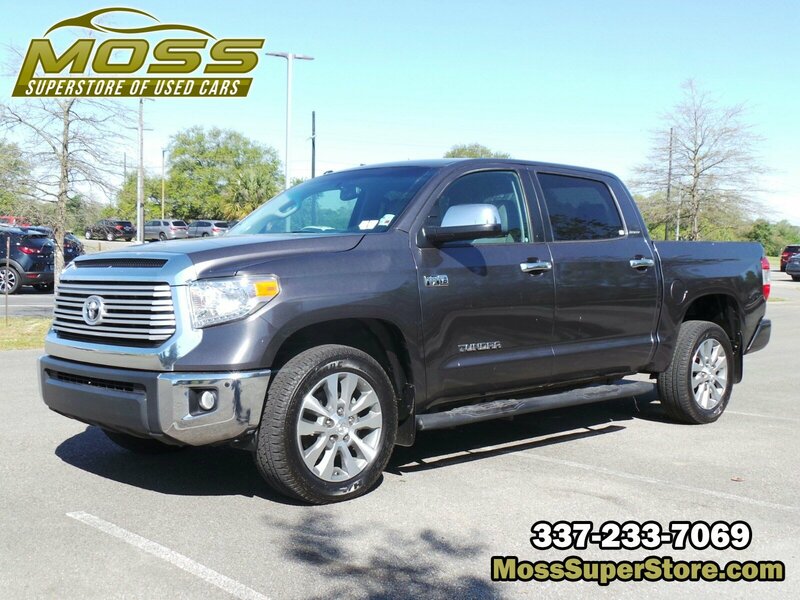 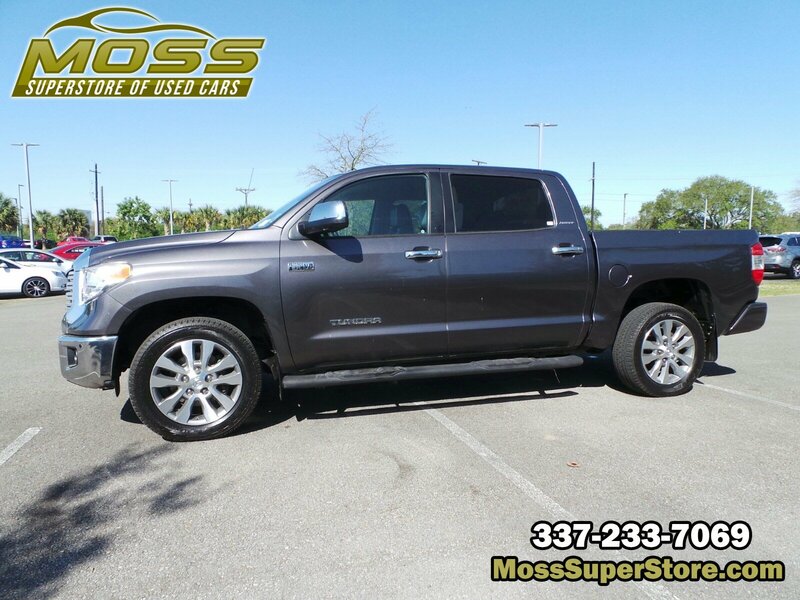 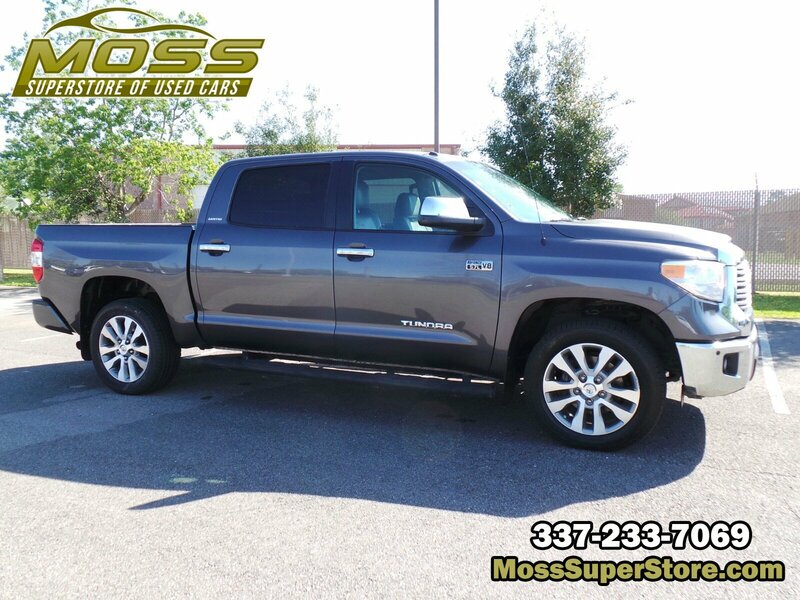 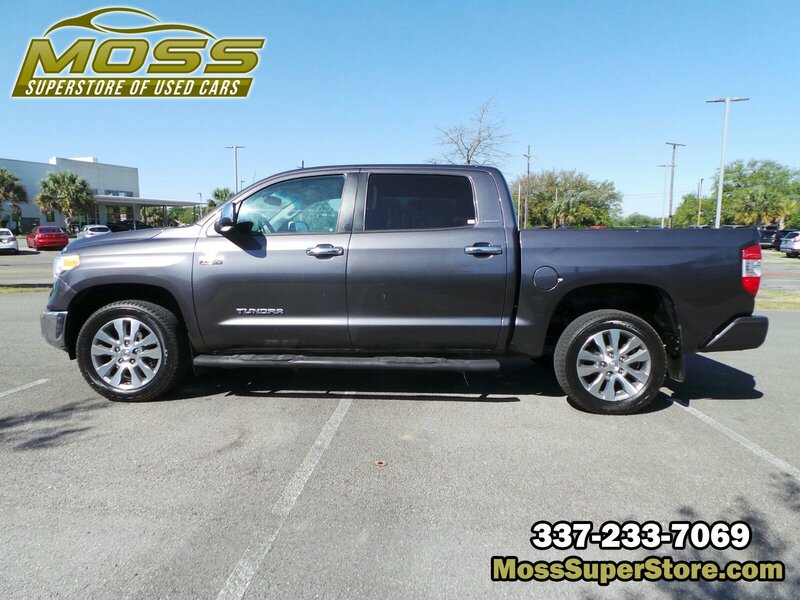 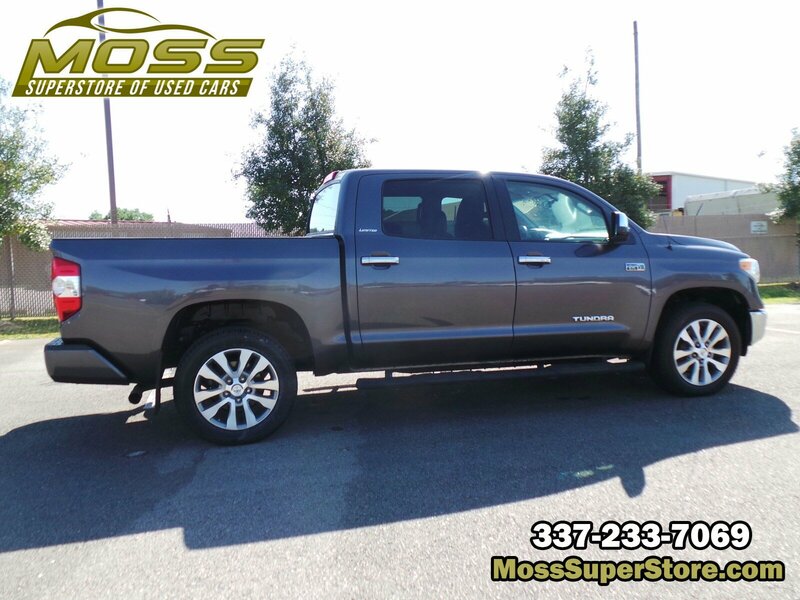 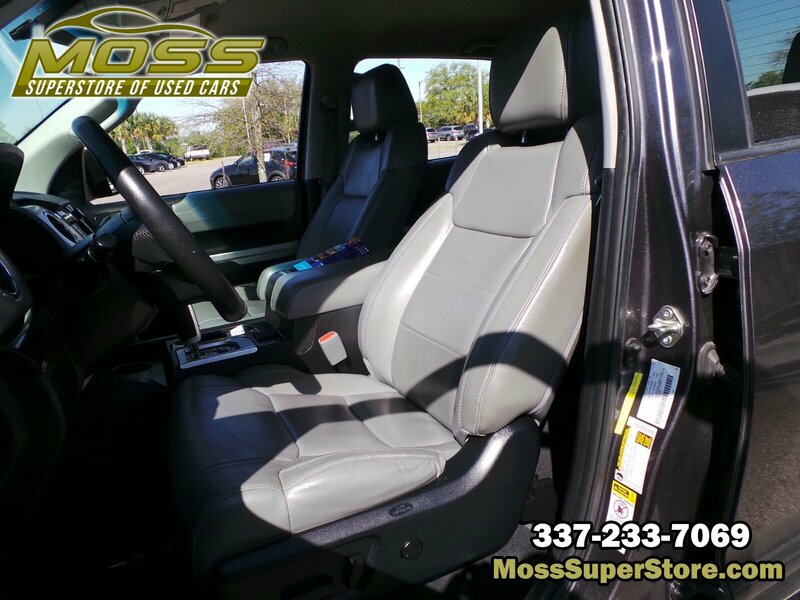 * Stop By Today *Come in for a quick visit at Moss Used Super Store, 1545 SE Evangeline Thruway, Lafayette, LA 70508 to claim your Toyota Tundra 2WD Truck!